Coal city sensation,waves is back again after releasing covers on jayz and eminem's renegade which featured propayne. 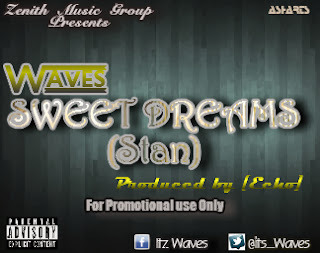 Waves who is currently signed to zenith music group,decides to go solo this well produced hiphop track titled sweetdreams which was produced by echo(j-kardi's inhouse producer). Track samples the voice of emily browning and also the first of more hits coming out the black is better Lp..